The upsurge of online shopping grew to historic proportions in 2016, having both positive and negative effects on retailers. Just after back-to-school sales were tallied, Rubicon Project published the second annual Holiday Consumer Pulse Poll projecting nearly one third of consumers and nearly half of parents began holiday shopping before Labor Day. The report set the American spend at $1,175 for the 2016 holiday season, showcasing a 12 percent jump over last year, and 73 percent will do it online. A similar report reflected positive upticks in online shopping in the UK as well, noting that Brits are using smartphones more and don’t seem to be showing concern over Brexit instability. Companies still have to skillfully operate and merchandise their physical stores, and do so in a seemingly seamless way from a consumer-facing perspective. Here are some numbers reported by various analyst firms. These are shown in sequential order starting with January 2016 through the Christmas holiday. This explosive growth has convinced many companies to embrace e-commerce in order to fulfill the demands from customers all over the world seeking branded products that aren’t available at local brick and mortar stores. Drivers such as a rise in urban population with disposal income, digital connectivity and mobile shopping options have clearly affected the way consumers shop. Additionally, the expectations of today’s consumer have shifted from 15 years ago. Online selling first took hold of shoppers around 1997, with the increased availability of internet access in the workplace and home. 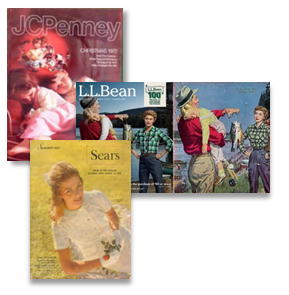 Until then, retail was limited to brick-and-mortar locations or catalog shopping – ala LL Bean, Sears and Roebuck, JC Penney, and Harriett Carter. The term “multi-channel” sales and fulfillment emerged, soon to be replaced by “omni-separate silos.” Instead just think about every channel as “commerce.” To maintain a presence in the marketplace, and compete with the mega-marketplace sites like Amazon, retailers need to offer consumers the choice to buy from every channel. Wal-Mart didn’t take e-commerce seriously until early in 2015 when they realized they were losing consumers’ dollars to online retailers. So the big-box retailer migrated to the web from physical stores, taking the leap into online retail. It’s a daunting task that goes beyond posting products on a web page, adding a shopping cart, and shipping the ordered product. It also requires producing a lot of digital content as well as having e-commerce platforms that make it easier for people to shop and buy. Meanwhile companies still have to skillfully operate and merchandise their physical stores, and do so in a seemingly seamless way from a consumer-facing perspective. Companies providing global e-commerce services must understand their customers’ needs for convenience and remove any obstacles for embracing cross-border commerce. These obstacles include an ever-changing global trade environment, tariffs that vary by country, and the accurate classification of products--which is even more exasperating in today’s world. To fully address these challenges, it’s imperative to maintain timely access to global trade information, master product classification, and comprehensively calculate landed costs at the time of order entry. By leveraging a cloud-based global trade management (GTM) solution, you can create a frictionless global commerce experience for your customers. To learn more about transformative technology and processes that will increase your e-commerce capabilities, download our free white paper entitled, Transform Global e-Commerce and Maximize the Customer Experience. This is an interesting blog. E commerce business is not an easy task because of its vastness. There are so many challenges to get customer satisfaction. Thanks for sharing this knowledge.